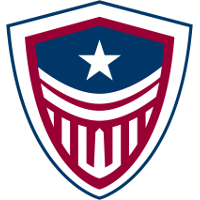 Washington Justice	 Washington Justice OWL Rank #19 SanSam Kim Hyang-ki (김향기) off tank Gido Mun Gi-do (문기도) flex support sleepy Nikola Andrews flex support Stratus Ethan Yankel dps Corey Corey Nigra dps Ado Cheon Ki-Hyeon (천기현) dps janus Song Jun-hwa tank Hyeonu Cho Hyeon-woo (조현우) support Fahzix Riley Taylor support ArK Hong Yeon-joon support assistant general manager kate	has announced she will retire following the end of Stage 2. She is doing so to give more attention to her mental health. While her title with the Justice was assistant general manager, she stated during the time of her joining the Justice that she was the primary person in charge of managing the franchise. It’s impossible to ignore, though, that I’ve also been confronted with toxicity and casual cruelty from strangers that outpaced anything I saw in years in gaming and politics, especially from people on Reddit. I’ve been on Reddit for over ten years, and have seen both its strength as a tool for community building and solidarity and its dark side, empowering false rumors, giving attention and ad revenue to muckrakers and liars, and fostering a culture where fans delight in the pain and ‘juice’ from voyeuristically watching for negative moments in the professional careers of players and staff. I wanted nothing more than to ‘power through’ and succeed in the face of adversity and blaze a trail for other LGBT women to follow me in this space. There was never any doubt in any of our minds at Justice that building an expansion Overwatch League team was going to be the biggest challenge of our careers. But facing this away from my family and my home turned out to be bigger challenge than I was able to take on — I saw myself, like many in this league, facing frequent panic attacks and needing to see a therapist for anxiety for the first time in five years. It’s not pretty, but most mornings before our matches I’d throw up from the stress. Her first signings while with the team were head coach WizardHyeong and main tank janus. Both came from the New York Excelsior. The Justice became mired in controversy later in the offseason after claims surfaced alleging the team had not followed through with offers made to coaches. The reports were not officially confirmed. Prior to managing the Justice, Mitchell was a manager for Kungarna during Contenders 2018 Season 1 Trials and Last Night's Leftovers during Contenders Season 2. Last Night's Leftovers success in Contenders Season 2 sent the Houston Outlaws' academy team down to Trials. The Justice have not experienced a similar level of success. They are currently 18th in the overall standings with a 1-8 record. Mitchell's last day with the team is May 13. It is unclear if the franchise will seek a replacement for her. We thank @KateMitchellOW for all her amazing work in launching the team and wish her the absolute best in the future. Her last match with the team will be on May 5 against the Boston Uprising. The Justice's next match is against the former team of Mitchell's first two signings. That match, against the Excelsior, is on April 11. Thank you for not pretending the controversy didn't happen like certain feathered "journalists". Her "body is still warm" yet everyone is already proposing other candidates for her role. Good riddance. I don’t mean to undermine mental health when I say this but I doubt this was a voluntary resignation. She is an awful GM. how do you "retire" as a AGM? She's just quitting OWL right? Is she never going to work in esport management again? Just seems weird to me, but I applaud her for thinking of her health and doing what she needs to do, lifes too short, good on her. Sure some people surely had a good reason to retire for their mental health or some other reasons, but in a way people not being committed for whole season makes esports as whole not so serious in my eyes. I get it, if team does badly they have to make some changes in staff or players section, but don't think this kind of thing happens in traditional sports that people just say after couple months "this was just not my thing". I get what you're saying but sometimes in life we bite off more than we can chew and be stubborn instead of admitting it's too much for us, if this is the real reason then I respect that because it's not easy to do that really so I'm all for people, whether it's staff or players to just accept it's not right for them at this time and step back. What I'm not a fan of is this "blaze a trail for other LGBT women to follow me in this space" I mean, I'm all for women getting involved in anything and will always encourage it but are we breaking it down to sexual preferences now or what? saying blaze a trail for women is fine but why be specific and say LGBT women? does she only want LGBT women to follow her into e-sports or something? Maybe I'm reading too much into it but wasn't a fan of that statement.